Cary, NC – It was several years ago that Danny DeVito even further endeared himself to me, when asked by an interviewer to disclose his New Year’s Resolutions that year. His reply: “Eat more pasta, Drink more wine.” Sadly, we can’t all be DeVito. Most of us make our annual sojourn into health-consciousness, as the evidence of the recent holiday season reveals itself around our waistlines. Fortunately, there is no shortage of healthy options in our little sweet little southern town. Here are a few to explore. 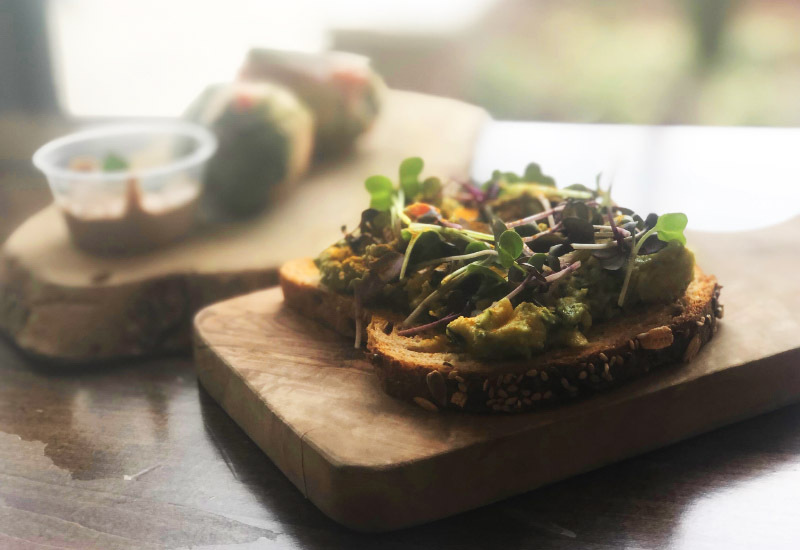 Sure, they can juice everything under the sun, but did you know that this spot, devoted entirely to plant-based offerings, also puts out some of the tastiest, healthiest noshes in Cary? Everyone is making Avocado Toast these days, but JuiceVibes does it right. No kiddo will turn down the Peanut Butter and sliced Banana and Strawberries, served atop a locally made, incredible Michael’s (vegan) English Muffin. Vegan Spring Rolls with Peanut Sauce are another great choice. They put out a delicious Soup du Jour as well. JuiceVibes – 1369 Kildaire Farm Rd. There’s a new game in town for healthy, responsibly sourced salad, soup and bowl options. 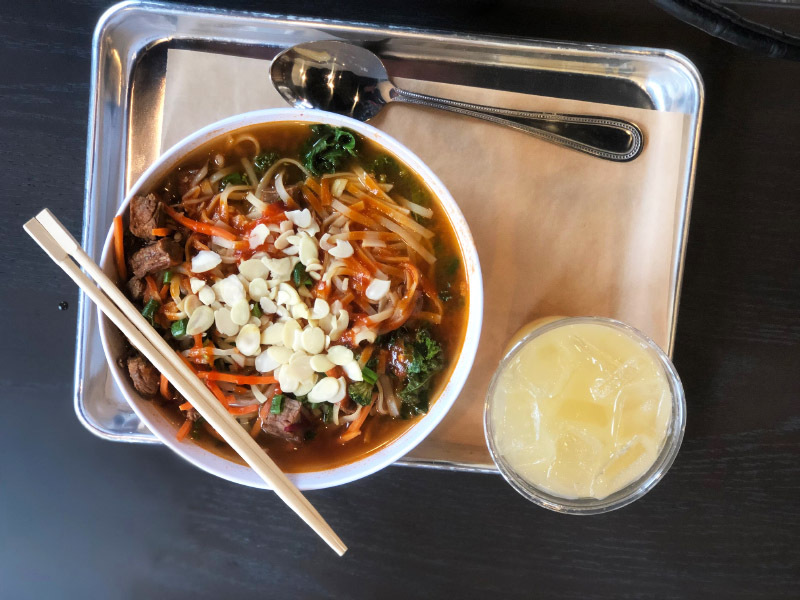 At CoreLife you place your order assembly-line style, and select your toppings/adds to complete either a salad, grain bowl or broth bowl base. The ordering itself is actually fun, and the array of options is impressive. I’m really looking forward to frequenting CoreLife this Summer when all I want is a crisp salad (with ingredients I can trust) and a frosty iced tea. Some other notable handcrafted beverages include honey ginger lemonade and apple cider green tea. 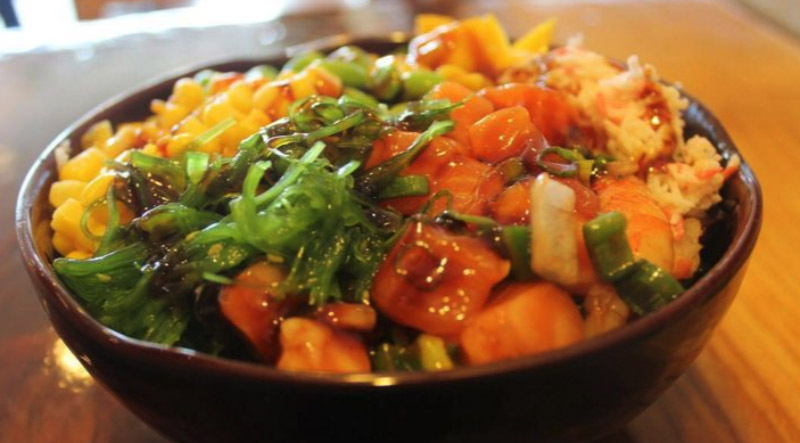 If you haven’t tried a Poke Bowl yet, you’re missing out. We finally have a few of these joints here in the Triangle and HiPoke near Park West is the newest of the bunch. A Poke Bowl hits the spot when you want a healthy dinner option and are short on time. You’ll choose a base (rice/greens or combo), then a protein (ahi/shrimp/tofu/chicken- even octopus if you’re so inclined) and finally your mix-ins and sauces. Super-healthy, fast and surprisingly filling and satisfying. Story and photos by Melodie Alsberg.